A blog about about micro-generation and renewable energy. You can follow the development of our eco house in Essex, currently in the build stage. We also focus on the products and services we offer, which are; solar panels, solar thermal, air source heat pumps, ground source heat pumps and underfloor heating. Developments in battery technology will mean that solar energy captured in the day can be used at night, enabling solar to become a much more important part of the UK’s energy supply. 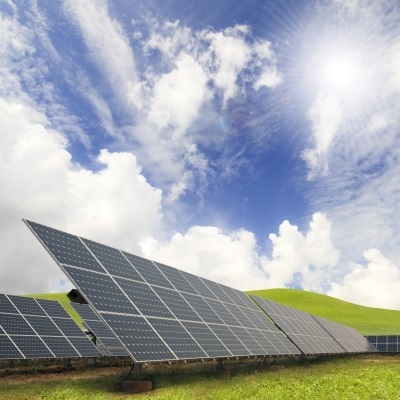 The technology behind solar panels is improving everyday. Installations are more cost and energy efficient than they were ten years ago, meaning that homeowners are spending less money to generate more energy with solar panels. The next step forward for solar technology will be the development of effective solar storage systems. An effective solar storage system will enable homeowners or businesses to save the energy that they have generated through their panels at a later time. This is especially useful as it will allow homeowners to use solar electricity even when the sun isn’t shining, including at night time. This technology would vastly reduce, or perhaps even remove entirely, the homeowner’s need for energy produced by a utility company. Having a solar battery would enable homeowners to have electricity even if the grid went down. Such a device would be roughly the size of a solar inverter, and could be mounted in your garage or attached to a wall. What will solar energy batteries look like? Different companies have different ideas about the future of solar energy batteries. For example, Elon Musk’s company, Tesla Motors, is rumoured to be releasing lithium-ion batteries for home use. These are the same kind of batteries that are used to power the Model S electric car. Many in Silicon Valley see solar storage as the next big thing, given that they will probably be an integral part of any 100% renewable grid. While homeowners will benefit from solar storage, there’s no reason why energy companies too couldn’t also benefit from a way to store cleaner energy and better manage the grid. How will solar energy storage be monetised? At least five major US companies, including SolarCity, SunPower, SunEdison and EnerNOC, are planning to extend, revamp or release their solar storage capabilities this year. EnerNOC in particular is planning an ambitious demand-based solar battery system that will supply renewable energy to the part of a building that needs it most. For example, EnerNOC could automatically either turn on the air conditioning or turn off the fans in a building when it is most economical to do so, generating a profit for both EnerNOC and whoever owns the building. Are there alternatives to storing solar energy by battery? The answer is resoundingly yes. Currently, 99% of bulk energy is stored by a system called pumped storage hydroelectricity. A pumped storage hydroelectricity site has two reservoirs, one at a higher elevation than the other, that are connected by an enormous steel pipe called a penstock. At night, when electricity prices are low, the water is pumped from the lower lake to the higher lake. During the day, when electricity prices are high, water is sent from the higher elevation to the lower through enormous turbines, generating electricity. Though more energy is spent pumping the electricity than is generated, the system is still profitable due to the change in price that occurs between night and day. Such a system may not be energy efficient, but it can remain cost efficient when there is an abundance of energy generated at certain times. Germany, for example, produces more energy than is needed through its solar panels during the day, but is able to store some of this energy for later with pumped storage hydroelectric sites. Pumped storage hydroelectric sites are also environmentally friendly, often doubling as nature reserves. Of course, the lack of suitable locations for such a site is one potential obstacle to widespread adoption of this system. Are you interested in solar energy storage? So are we. Talk to us on 01621 827015. Posted on April 21, 2015 by Clive Rolison	in Renewable Energy Blog. What you need to consider when calculating the value of solar panels. Calculating a Return on Investment (ROI) for solar panels requires you to look at all the different factors that affect the cost of your solar panels and the gains provided by access to clean energy. We run through the factors that influence how much you stand to gain from solar. 1. How much do solar panel costs? Solar panels are at their lowest ever prices, and they costs just a fraction of what they did ten or even five years ago. Prices are expected to keep falling through 2016, and there’s reason to believe that the plummet could continue to 2020 (or even beyond). Cheaper solar panels means cheaper solar energy, which is great news for those thinking of going green. 2. How much does it cost to put a solar panel on my roof? The difficulties of taking a solar panel and mounting it on your roof account for a substantial portion of the cost of installing solar panels. That’s why it’s important to choose a company whose workmanship you can trust, and that will get the job done on time. At Complete Renewables, we offer you a workmanship guarantee of up to ten years to give you peace of mind. Remember to get any overdue work done on your roof before you have the solar panels mounted. Ground-mounted solar panels can be a cheaper option for those with the space. 3. What are the maintenance costs of solar panels? 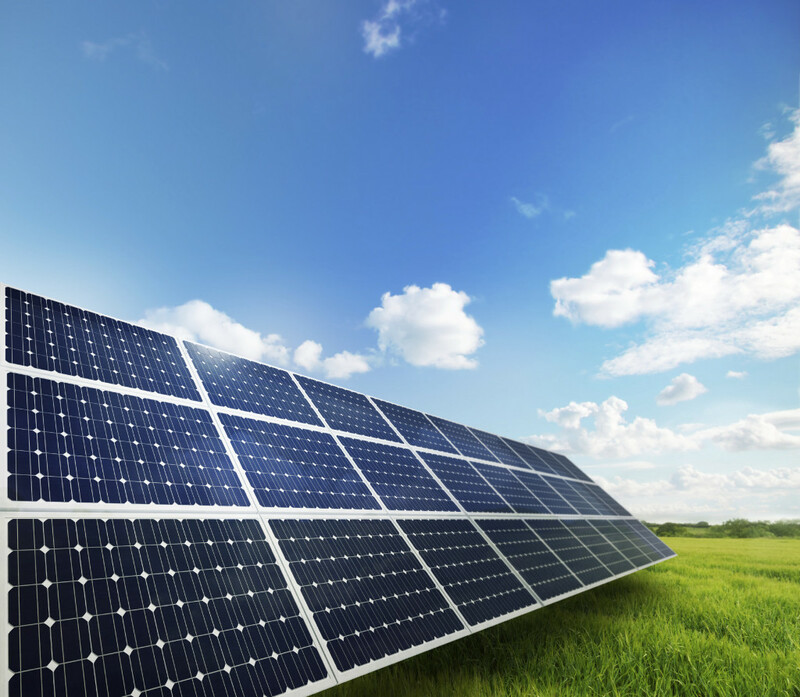 Another major advantage of solar panels is that they have close to zero maintenance costs. This is because they have no moving parts in the system at all, meaning that there’s very little chance for a problem to develop. Solar panels are also ‘self-cleaning’ so you don’t need to worry about the accumulation of dirt either, though inspecting your solar panels from time to time isn’t a bad idea, so long as you can do so safely. We offer a ten year guarantee on your SMA inverter too, so you don’t have to worry about getting that repaired. Once you’ve figured out the costs of your solar panels, it’s time to balance those against the gains. 4. How efficient are solar panels? Every few months, new records are broken as solar panel efficiency improves. Solar panels are a young technology, and new approaches to solar are being considered all the time. For those considering solar panels, just a few percentage points more efficiency adds up to a huge amount more energy generated over a solar panels lifetime. That’s because solar panels last so long. LG’s MonoX panels have a twenty five year lifespan, with a guaranteed 80% output by the 25th year. Getting a high quality panel is essential, as the better the quality, the more energy you are able to generate, which generously compensates for the expense of the build. 5. How do conventional energy prices affect the price of solar? The more expensive conventional energy becomes, the more you save through your solar panels. In the short term, fossil fuels fluctuate in price wildly, but in the long term, there’s only one direction that energy prices in the UK are heading: up. Prices more than doubled between 2002 and 2012, and if they got away with it before, there’s no reason that energy companies won’t try and get away with it again. Families are noticing the squeeze as runaway energy prices have quickly outpaced any rise in wages. Solar panels are a good way to protect yourself from price hikes. 6. How does government policy factor into things? The government has a number of policies and subsidies in place that affect all areas of energy production,including fossil fuels, and solar is no exception. Domestic home owners can benefit from the Feed-in Tariff, and the Green Deal, while business owners can take advantage of the Commercial Feed-in Tariff. These schemes provide an income for those who are generating renewable energy. The Department of Energy and Climate Change (DECC) has suggested that commercial rooftop spaces are an ideal site for solar panels, and is expected to push through legislation that will encourage growth in this area. 7. How can ‘green credentials’ benefit my business? Now more than ever, consumers are choosing to buy products and work with companies that align with their personal values. To understand how important this is, consider the fact that ethical products, such as dolphin friendly tuna, cruelty free eggs and fairtrade bananas, have earned a space on the shelf of every supermarket in the country. Green energy and sustainability are values that the British public are adopting en masse, and no doubt will affect the companies that they choose to do business with. If you are a small business owner, you stand to gain enormous favour with ‘green’ consumers by having solar panels installed. 8. What are the environmental costs of continuing to use fossil fuels? These days there’s a tendency to measure everything in pounds and pence, and while we shouldn’t neglect our finances, we also shouldn’t lose sight of other important markers, such as health and happiness. The scientists are in agreement: climate change is man-made and the burning of fossil fuels is a significant contributing factor. Fossil fuels seem like a great deal, but that’s only because the brunt of the costs associated with climate change won’t be shouldered by us, but by our children and our grandchildren. It’s hard to put a value on it, but by transitioning to low-carbon technologies, like solar panels, we are investing not only in our present finances, but also in the future health and happiness of the next generation. Want to know how these factors will affect your specific business? We’re happy to give you a breakdown of your anticipated return. We don’t employ salespeople, so you’ll only be talking to a professional installer on: 01621 827015. Posted on March 31, 2015 by Clive Rolison	in Renewable Energy Blog. Why smart businesses are turning to solar power. In today’s competitive marketplace, businesses must optimise their productivity, or risk falling behind their competitors. Employees, machinery and even rooftops can be put to work generating profit. Currently, there are countless acres of rooftop spaces allowing solar energy to bounce off untapped. At a time when energy prices are climbing and many businesses must cut costs, only short-term thinking allows such wastefulness to continue. The tide is beginning to turn. Our retail giants, from Sainsbury’s to Marks and Spencer, are leading the pack with gigantic investments in solar panels on their rooftops. These British businesses are overseeing the construction of some of the largest solar panel systems in the entire continent. Not content to be buffeted by the whims of unpredictable energy companies and the notoriously fickle oil market, they are taking their destiny in their own hands by aiming for energy independence. Which are better, ground-mounted or roof-mounted solar panels? The ecological advantages to solar panels placed in fields (ground-mounted solar panels) are undeniable. Biodiversity is able to thrive when 95% of the topsoil is left undisturbed. After a solar panel’s twenty five year life span is complete, the soil underneath will be much more fertile and rich in life than a comparable field subjected to the toils of conventional farming. Farmers are able to co-locate solar panels with smaller livestock, such as sheep, geese and chickens, essentially producing a double ‘crop’ from their fields – both meat and energy. Furthermore, solar panels are the British public’s favourite form of renewable energy, even when ground-mounted, so long as they are located on suitable sites. However, whilst farmer’s fields do represent suitable sites, we shouldn’t be building solar panels either on areas of outstanding natural beauty or sites of special scientific interest. In order to protect the natural beauty of our environment whilst also meeting our clean energy requirements, the best path incorporates both solar panels mounted on rooftops and those fixed in the ground. The Department of Energy and Climate Change (DECC) supports this position, and feels that commercial rooftops represent an excellent position for solar panels. What’s the return on investment on commercial solar panels? Installing commercial solar panels makes excellent financial sense. The peak generating hours of solar panels coincide with the work day, which is when the majority of businesses use the most power. This makes rooftop solar panels very efficient and cost-effective, as they are able to power a business directly. Furthermore, the Commercial Feed-in Tariff means that businesses are paid for every kilowatt of power generated at a set price, regardless of whether that power is used on site or exported to the National Grid. Given the high price of importing energy from the grid, companies that have solar panels installed are therefore incentivised to use the power that they generate onsite. Combining the gains of the Commercial Feed-in Tariff and the savings on energy bills produces a handsome net profit for the typical company over the twenty five year lifetime of the solar panel system, at a very competitive ROI. Transitioning to a low-carbon future, protecting our environment and reducing UK dependence on unpredictable and often dictatorial foreign energy companies are all undeniable benefits of solar. But the single most important thing that businesses need to know about commercial solar panels is what effect it will have on their bottom line. The exact amount that companies are able to save with solar panels varies on a case by case basis. That’s why you should get in touch with Complete Renewables and receive a complete breakdown of the anticipated returns on investment for your solar panel project. The Government’s Standard Assessment Procedure (SAP) provides a good framework, which we build on by analysing panel and inverter specifications alongside accurate climate data. 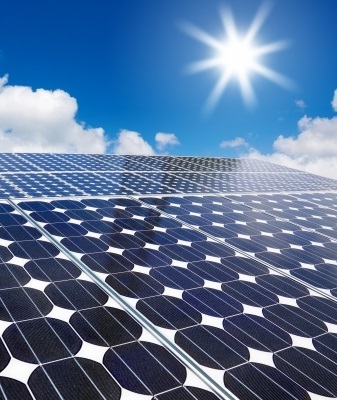 Find out your anticipated Return on Investment for commercial Solar Panels. Talk to a specialist: 01621 827015. The scientific journal Nature urges policy makers to “keep fossil fuels in the ground” if we are to have any hope of preventing dangerous levels of climate change. Christophe McGlade and Paul Etkins of University College London have found that we must leave two thirds of our fossil fuel reserves in the ground if we are to have even a 50% chance of reaching our climate change targets. This is because fossil fuels that are extracted from the ground are inevitably burnt, increasing CO2 emissions and contributing to global warming. The destruction of coastal cities worldwide. That the entire tropics would be uninhabitable, displacing millions. The Arctic would be ice-free all year round. It goes without saying that such a situation would be a disastrous for our children and our grandchildren. In order to prevent climate change on this scale, we must move away from our dependency on fossil fuels and embrace alternative energy technologies. Does renewable energy technology offer a realistic alternative? The most common criticism leveled against renewables is that they cannot possibly provide all of the electricity that a country needs. What if I told you that not only is it possible, but in fact it’s already been done.? Iceland, for instance, already sources 100% of its electricity renewably, as do Albania and Burundi. In fact, here’s a list of 45 countries that are already at least 60% powered by renewables. The truth is that renewable energy technologies are both effective and affordable. Unlike fossil fuels or nuclear energy, solar panels, wind turbines and hydro electrics are safe for humankind, sustainable and socially responsible. If Albania can do it, why can’t we? We must act now to adopt alternative energy consumption and avoid disastrous climate change. Renewable energy has a vital role to play in protecting the planet from climate change. If you are interested in learning more about solar panel installation in Essex and the South East, please feel free to contact us. Posted on February 17, 2015 by Clive Rolison	in Renewable Energy Blog. What is Community Energy, and Why is the Government trying to Kill it? Despite promising us that “we’re all in this together” the government has just passed legislation that effectively kills community energy schemes. It’s time to ask why. The cost of energy is quickly becoming a major concern in many household budgets. Not only that, but 10% of the population is in fuel poverty. This meant that more than one million working households were unable to properly heat their homes this winter. To make matters worse, many now suspect that the ‘big six’ energy companies are unfairly profiteering by overcharging homeowners. Oil prices have fallen 55% since June, British Gas have delayed their corresponding price reduction until after the worst of the cold winter weather. Yet when oil prices rose, energy bills went up like a rocket. Community energy schemes represent a fairer alternative to the current system, one that puts people over profits. Community energy schemes were starting up all over the country – until the government quietly changed two important rules. Firstly, the Financial Court Authority (FCA) changed the rules so that energy co-operatives can not be established if they plan to sell the power that they generate to the national grid. Removing this potential source of revenue makes it so much harder for energy co-operatives to be profitable. Secondly, George Osborne changed the tax rules so that co-operative energy groups will no longer benefit from two major incentives: the Enterprise Investment Scheme and Seed Enterprise Investment Scheme tax relief. Both schemes offer tax reliefs to investors in smaller high-risk companies, but thanks to the legislative changes those investing in energy co-operatives can no longer qualify. Why should this be the case? Why reward the investor who puts his money into a profit-seeking enterprise and penalise the one who invests in a not-for-profit? The most likely answer is that the ‘big six’ don’t want to see their profits hurt by community energy schemes, and are pressuring the government to cut them before they grow. It’s hard enough to establish a new enterprise at the best of times, but when the government is constantly changing the rules to favour the dominant monopoly, it’s almost hopeless. It’s time to ask: why shouldn’t we have power for the people that’s also generated by the people? Do you represent an energy co-operative interested in installing solar panels or other renewable energy technologies in your local community? How have the recent changes to legislation affected you?